good call! 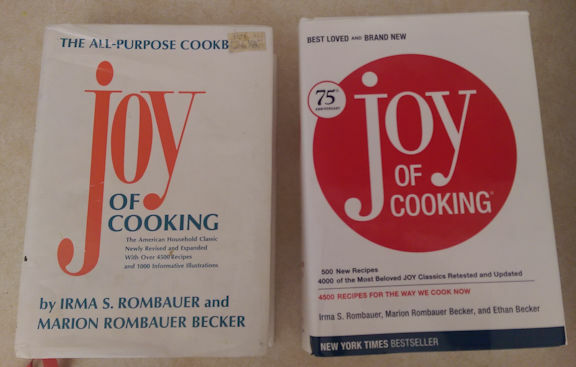 We have a more modern version of The Joy of Cooking. My husband, being the real chef between the two of us, asked for it as a birthday present several years ago. He wanted to have it as an ultimate cooking reference. I’m pretty sure it hasn’t been opened in years, but we keeep it on a book shelf more for display purposes. In reality, we go to the internet for recipes and cooking how-to’s too 🙂 But I guess it is nice know it’s there. Yes, I sometimes look at it just because of curiosity about what can be done with a particular food, but rarely end up actually cooking a recipe from it.